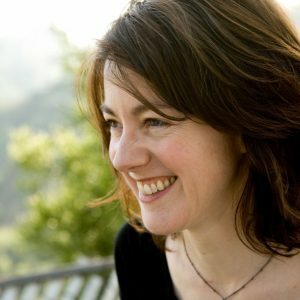 Laura Nix is a director, writer and producer working in non-fiction and fiction. She recently directed INVENTING TOMORROW (Sundance US Documentary Competition 2018). Previously she directed THE YES MEN ARE REVOLTING, (Toronto International Film Festival 2014, Berlinale 2015), which was theatrically released domestically and in multiple international territories. Her film THE LIGHT IN HER EYES premiered at IDFA; was broadcast on the PBS series POV and Al Jazeera Middle East. Other feature directing credits include the comedic melodrama THE POLITICS OF FUR, which played in over 70 festivals internationally and won multiple awards including the Grand Jury Prize at Outfest; and WHETHER YOU LIKE IT OR NOT: THE STORY OF HEDWIG. She was recently named a Chicken & Egg Breakthrough Filmmaker, a prestigious award given annually to five experienced US based women filmmakers, and in 2017 she was awarded the Sundance Institute/Discovery Impact Fellowship. Her nonfiction work has screened at hundreds of film festivals internationally, on The New York Times Op-Docs, and on television via HBO, Arte, ZDF, VPRO, CBC, NHK, Canal+, and IFC. A MacDowell fellow, she has received support from the Bertha Foundation, BritDoc, Cal Humanities, COBO Fund, the Danish Film Institute, and the Sundance Documentary Fund.